Rhoda is one of the nicest gals I have 'met'! Wow, I want her to come and watch my kids and influence them in her Amish ways. Charlotte has done a fantastic job sharing the Amish character and faith in her book. Andy is studying to be a nurse after his ex-wife leaves him. He is working long shifts and needs some help. Rhoda is his answer to prayer. The kids take to her eagerly, despite her funny language. Charlotte adds just enough Amish lingo to the book to make Rhoda come alive, but not too much that we need a Pennsylvania Dutch dictionary! Andy's character is really great as well, he is a great Dad and works hard to keep his family on the right track. This was a great book and I strongly recommend it if you enjoy Amish fiction! Thanks so much for your wonderful review of my book, Melanie! 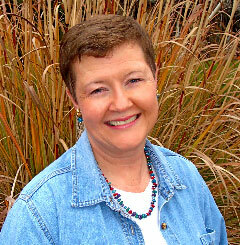 I so appreciate your help as I promote my book! 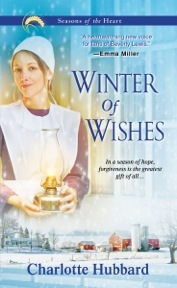 WINTER OF WISHES is the latest book in Charlotte Hubbard's Seasons of the Heart series. This is the second book in this series I've read and I'm sure I'll read all of them. Charlotte really has a flare for writing like the Amish people live. Her story grabs you and wanting to know what happens next keeps you turning the pages. In WINTER OF WISHES Andy and Rhoda come from two different worlds. Witnessing their emerging love along the lively secondary characters is worth the adventure. Get this one and snuggle up for a heartwarming read.